The sky was a beautiful blue, the water super turquoise, and we were green. 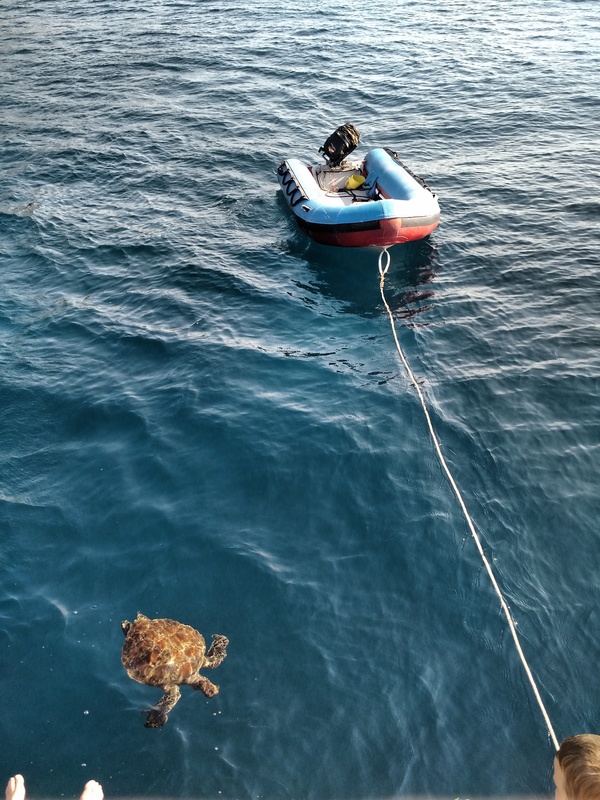 We had breakfast on our live-aboard snorkeling boat, which ended with our guide passing around a Dramamine, even taking one himself to emphasize this was a good idea. We went along, but an hour later wondered if we’d received placebos or expired pills. 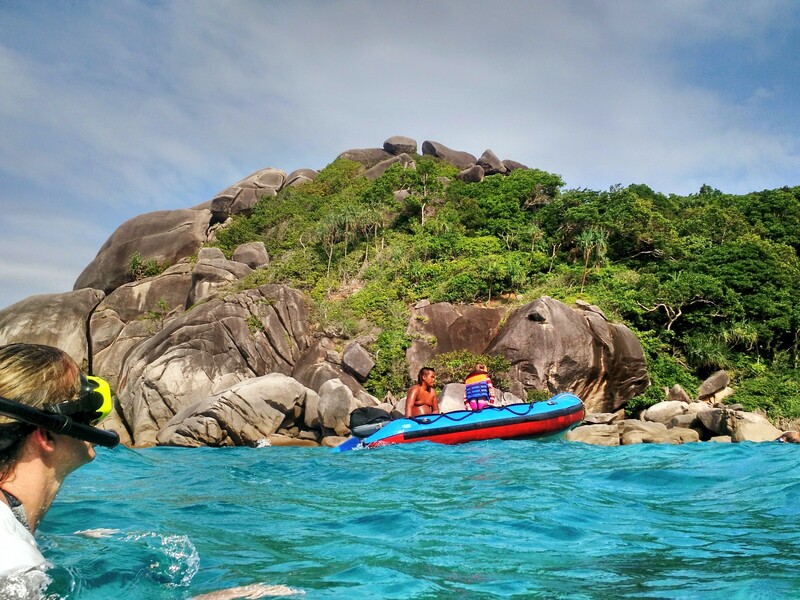 Though the crossing to the Similan Islands left an impression, the islands themselves were more remarkable. 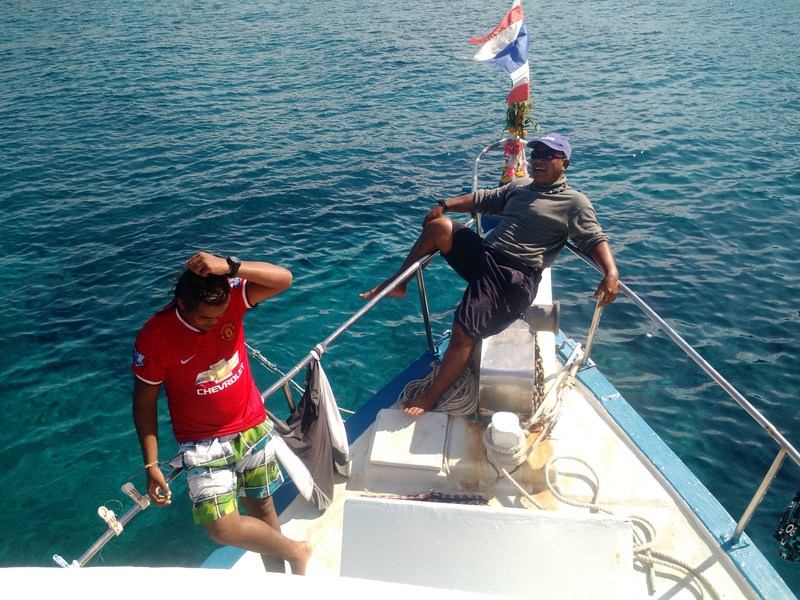 We saw moray eels, cuttlefish, sea stars, a flirtatious sea turtle or two, barracuda, needlefish, parrotfish, angelfish and many colorful more. I missed my parents who are snorkeling aficionados, and when I tried to take pics for them I nearly killed my iPhone. Seems waterproof cases require more careful closing than what my excited state allowed. Our boat held 17 passengers and 5 crew. Had my father seen our sleeping berths, he would have said “like hell!” and swam to the luxury yacht at the next mooring. But he might have liked chatting with the four Swedish grandparents there with their children and 4 grandchildren, one of whom was a young Brigitte Bardot. 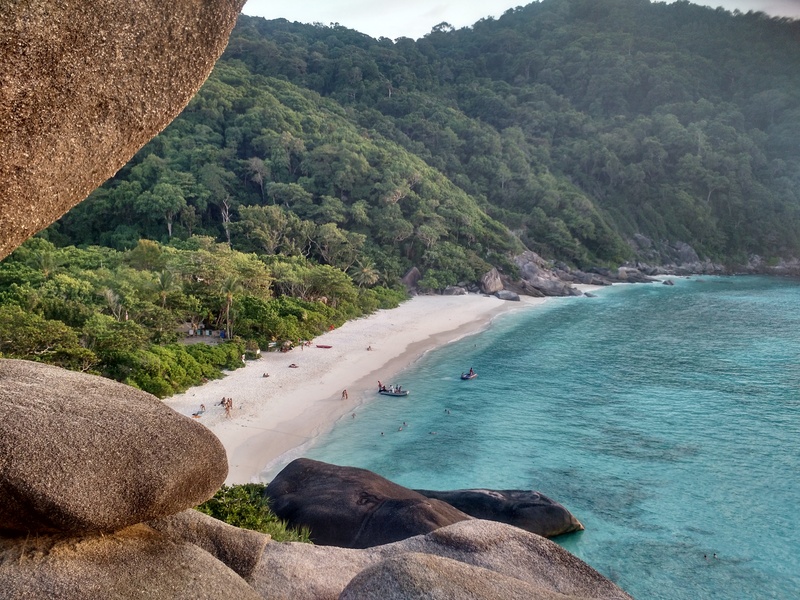 The Similans reportedly means 9 islands in Yawi, a Thai/Malaysian language. Three islands are closed for conservation, which is wise given the boat traffic at some others. Island four belongs to the Thai princess and is closed to the public when she is in residence; perhaps she heard the Mosquitos were in residence, so we were allowed to visit and see the whitest beaches, fruit bats, and more crystal clear water. No demo was needed for Dramamine on the way home; T doubled down. Though we looked forward to a long shower and just land, we were glad for our sea adventure. Those waters and islands look amazing! Glad it was a lot of fun and that you were able to crash a Swedish family reunion. 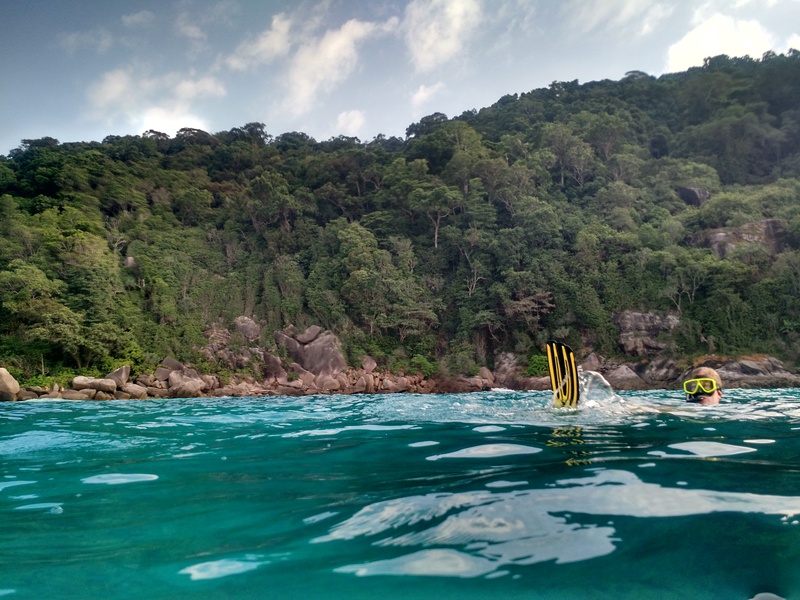 Hope you didn’t taint the clear waters though with your seasickness – although once you’ve enjoyed the experience it is kind of satisfying to make sure it’s ruined for everyone else in the future. Did you get a chance to ask him about his paintings? Thinking of you guys! !